In open-pit mines, we pump seasonal rainwater and seepage (regardless of solids content),from the pit. We lower the water table to prevent influx of ground water. Under ground, we keep water out of working stopes, optimize main drainage, and pump out shafts.In mineral processing applications, we supply mine water, pump process fluids for heap leaching and solvent extraction, recover emergency dam slurry, handle nuisance fluid and slurry, and provide pumps for water treatment. We offer our products and technology solutions to the global mineral processing industry along with expert advice and technical support. Our product range includes reagents, equipment, process technologies and expertise, focusing on applications such as Grinding, Flotation, Hydrometallurgy, Solid Liquid Separation, Tailings Management, and Materials Handling. 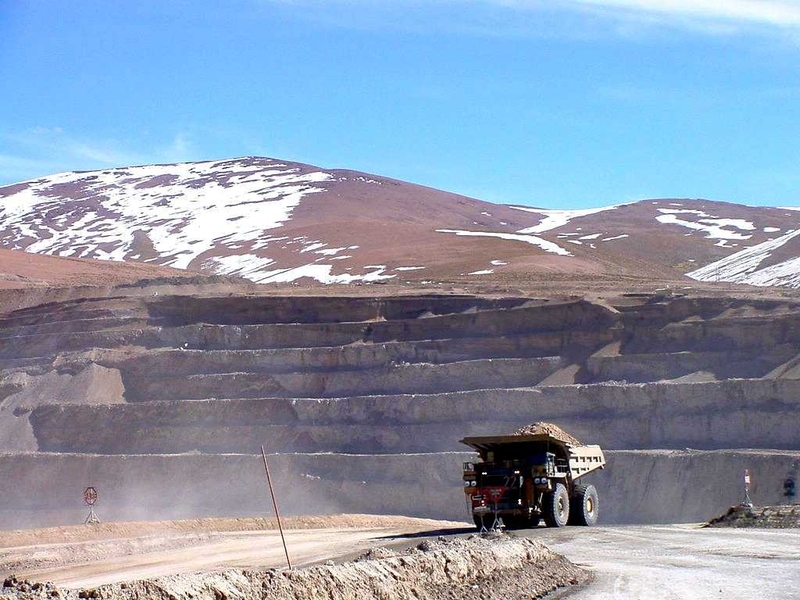 Mining Solutions business offers a diverse range of mineral processing chemicals and technologies to improve process efficiencies and aid the economic extraction of valuable resources. 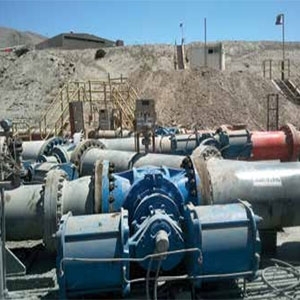 Xylem offers solutions for open pit mines, underground mines and material processing, including a wide range of rental pumps, designed for durability, advanced treatment equipment for water management, and precision analytics to ensure process control and compliance. Rugged and reliable equipment to monitor environmental impact including groundwater testing, contaminants and erosion. A full range of electric and hydraulic submersible pumps for general duty in dewatering, bypass, drainage and sludge applications. A range of pumps for water recovery, wash-down sumps, water supply and wastewater treatment including vertical turbine, bore hole pumps and an array of durable centrifugal pumps. Fully automatic diesel, electric or natural gas powered, solids-handling dry-priming pumps for high-volume and high-discharge heads. Horizontal dry-mounted and submersible abrasion-resistant slurry pumps with agitators for removal and handling of abrasive and corrosive liquids. Vertical and horizontal multi-stage pumps. Stainless steel submersible centrifugal and vertical multi-stage centrifugal pumps for wastewater handling. 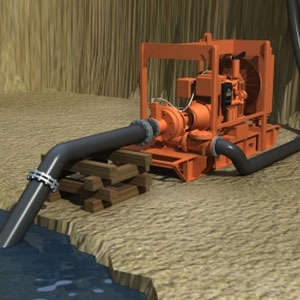 Submersible mixers used in mining as well as mineral processing operations to re-suspend and/or keep solids in suspension in reservoirs, lagoons, over ground or underground, and in basins and tanks. Today, the DeZURIK, APCO, and HILTON brands continue the tradition of partnering with our customers in the mining industry to provide the newest innovations in gate, plug, butterfly, check, air, and rotary control valves. Valve designs include features for superior performance in mining applications such as 100% port areas for high flow capacity, premium packing systems with metallic scraper rings for long service life, and full-force lockouts for safety. In addition, our expertise in materials engineering allows us to assist you in selecting the proper metals, elastomers and hardened trim materials for longest service life and maximum value. Over the years Smaco has been supplying cranes to the mining industry. With their extensive design knowledge as well as our local knowledge, they have been able to serve the mining industry since the 1988. 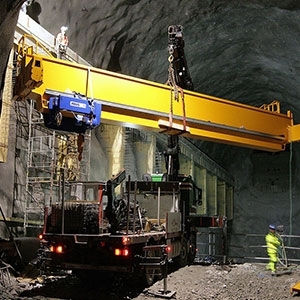 Heavy-duty process cranes for the mining industry need to be able to carry extra-heavy and dangerous loads and they must also be protected against corrosion from heat, dust, moisture and constant use. Smaco has a range of cranes built to withstand the toughest environments. We are offering Heavy duty Equipment such as EOT Cranes- Double Girder & Single Girder, Jib Cranes, Electric Wire Rope Hoists, Pallet Truck, Roller Skids, Storage Systems. Mining, cement and aggregate - The latest in digital technology provides ease of set-up and reliability. 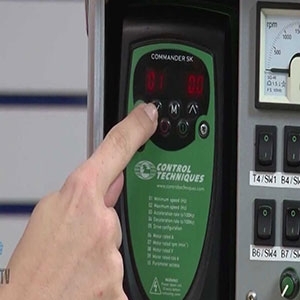 Control Techniques' drives offer the latest in digital technology to provide the ease of set-up and reliability needed in demanding applications. From anthracite to zinc, from deep in the mountain to the highest peak, Control Techniques drives move industry's raw materials. Conveyors, Mixers, Hammer mills, Palletizers, Separators, Shredders, Agitators, Rock crushers, Grab buckets, Excavators, Loaders, Pumps.